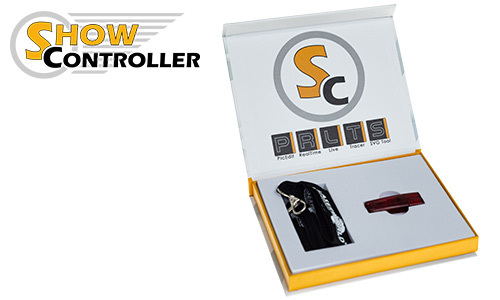 Laserworld has launched "Showcontroller", a new, professional lasershow and multimedia software. It's intuitive and easy to use and therefore this ILDA software is suitable for beginners as well as professionals. Showcontroller LIVE for live control of laser shows. Program own timeline and media-based laser shows with Showcontroller RealTime. Showcontroller PicEdit aids in creating laser optimized graphics. Convert pixel-based pictures like logos and drawings into laser graphics with Showcontroller Tracer. Vector-based pictures can be converted into laser compatible files by using Showcontroller SVG-Tool. Two verions of Showcontroller are now available. The regular version of "Showcontroller" supports up to three Laserworld ShowNet hardware interfaces (DAC), while "Showcontroller PLUS" supports more hardware interfaces (DAC) of different types: ShowNet, Netlase, Netlase LC, Easylase II, Easylase LC, and Phoenix Micro USB V1. All interfaces can also work with DMX in/out signals.